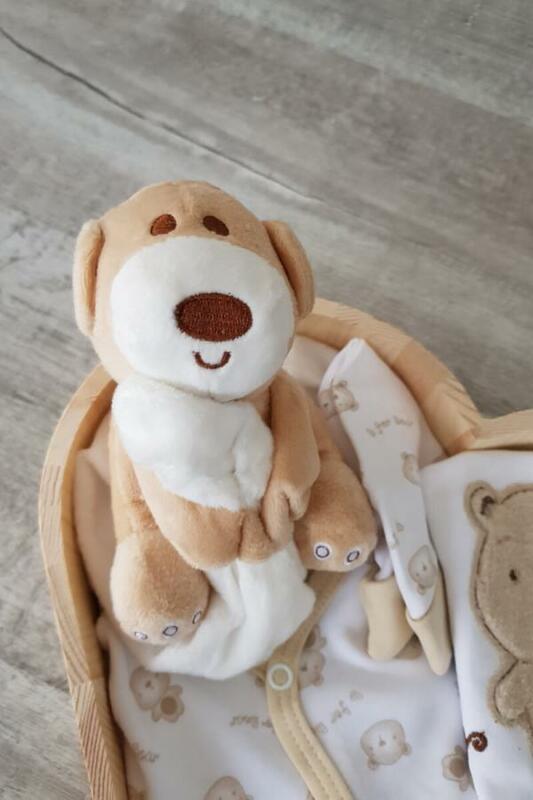 For that new little baby bear in your life! 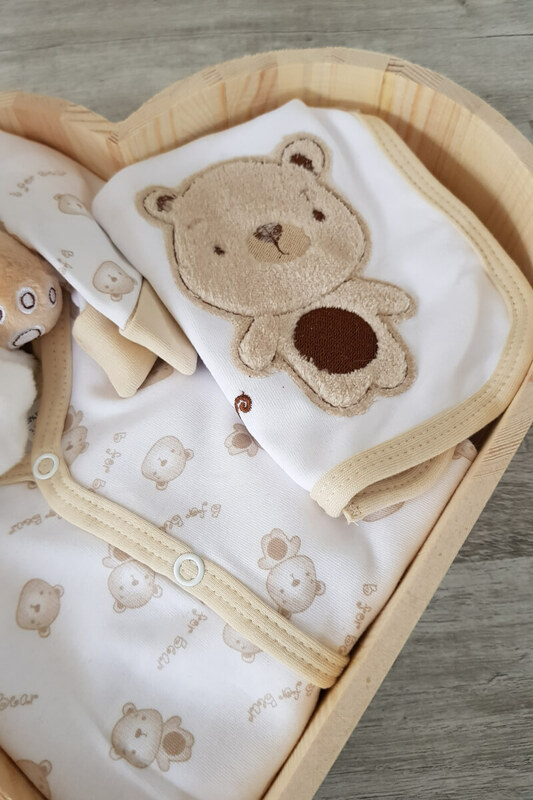 This little bear gift set makes a beautiful present for a baby shower or a new baby gift. 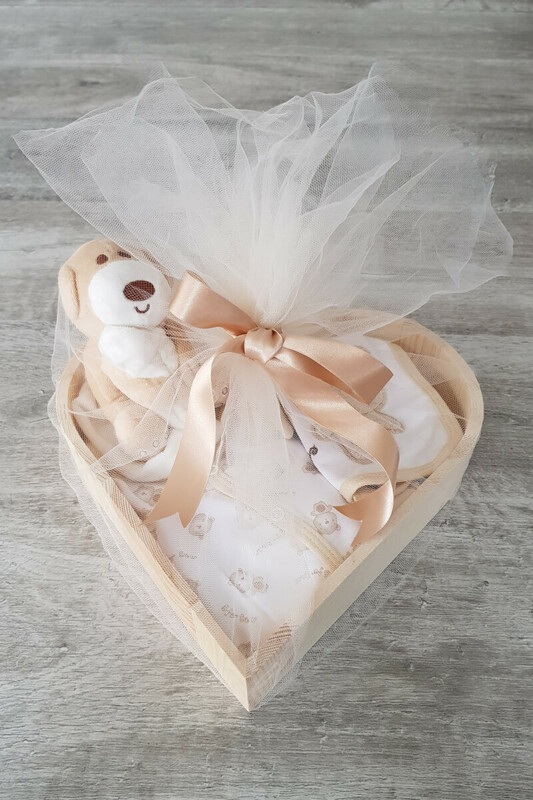 All comes packaged in a solid wooden heart shaped keepsake gift box, wrapped in organza and finished with a complimentary bow.